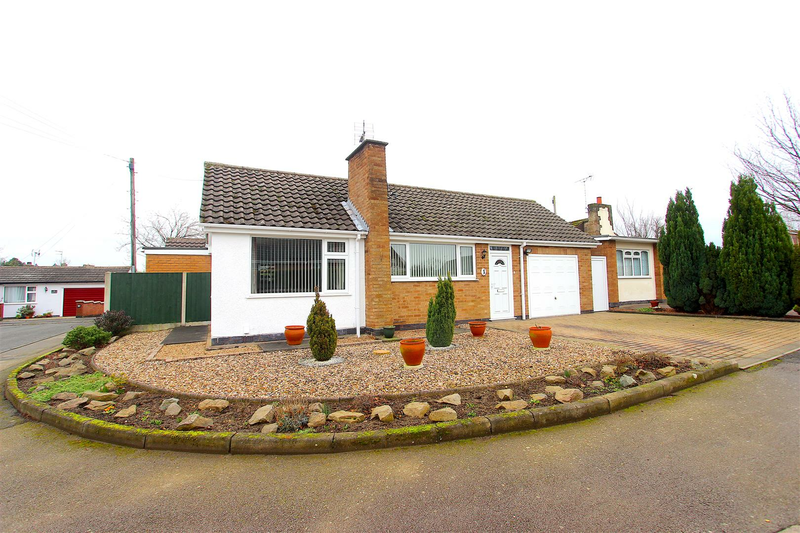 Extended to the side and occupying a corner plot, this three bedroomed detached bungalow is situated off the sought after Barry Drive, in the ever popular village of Kirby Muxloe and is within walking distance to shops. 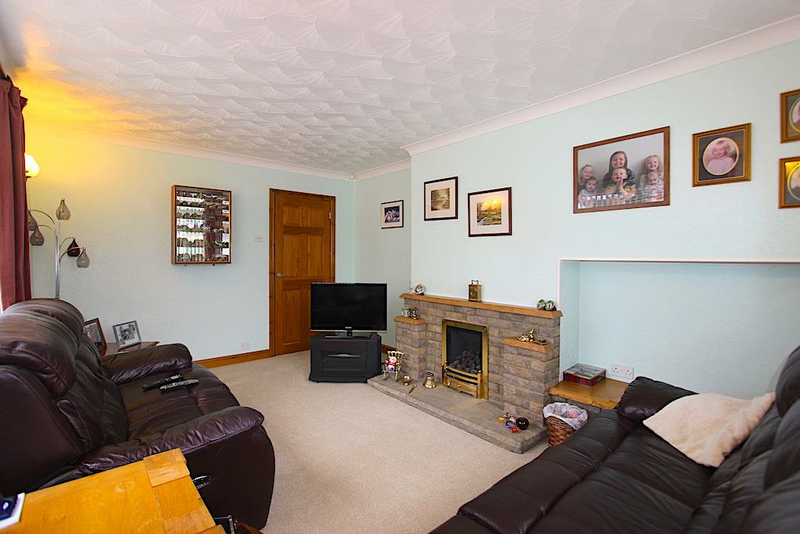 Having a private low maintenance rear garden and a driveway for two cars leading to the attached garage, an early viewing is therefore highly recommended. 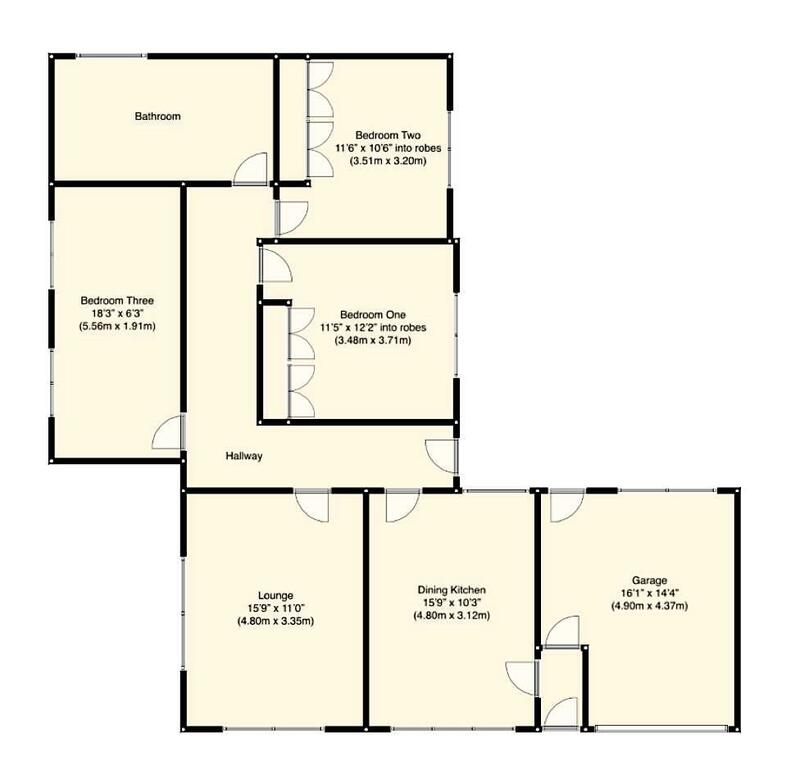 The layout in brief comprises entrance lobby, dining kitchen, inner hall, lounge, three bedrooms, two of which are double, and an enlarged bathroom with four piece suite completing the accommodation. 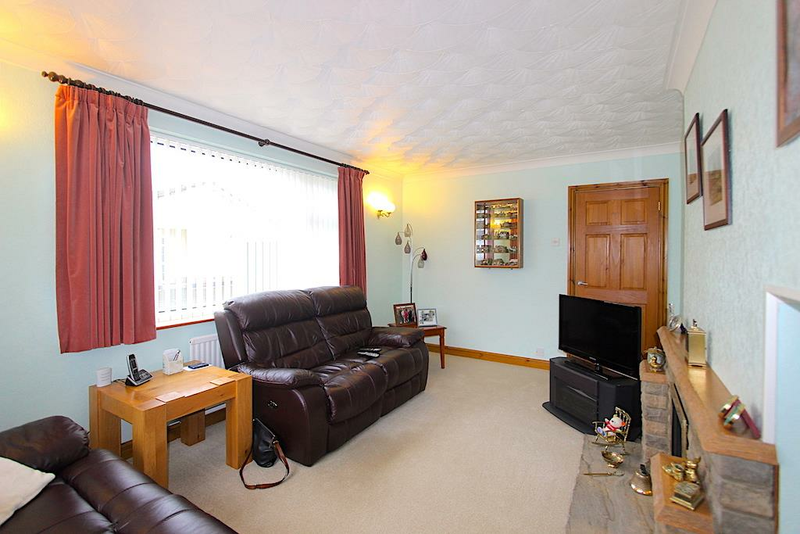 Gas centrally heated and having double glazing throughout, the property may be of interest to a young and growing family, a downsizer or purchaser looking for accommodation all on one level. 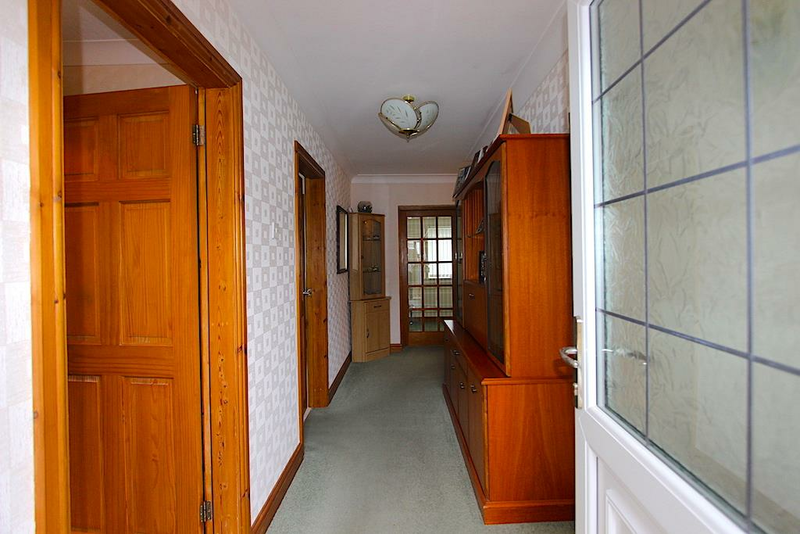 Giving access to the rest of the accommodation with a door to the garden, central heating radiator, ceiling coving and carpet flooring. Positioned around a feature gas fireplace with brick surround, the lounge offers windows to the side and front. 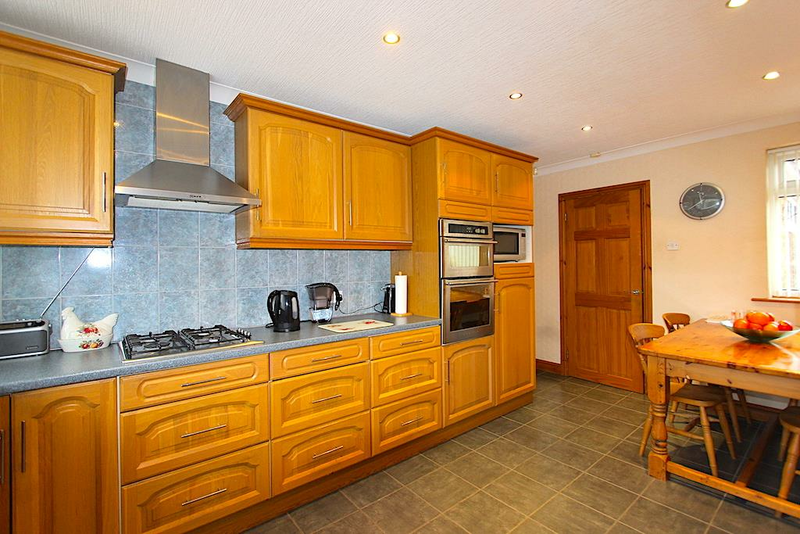 With carpet flooring, central heating radiator and coving. 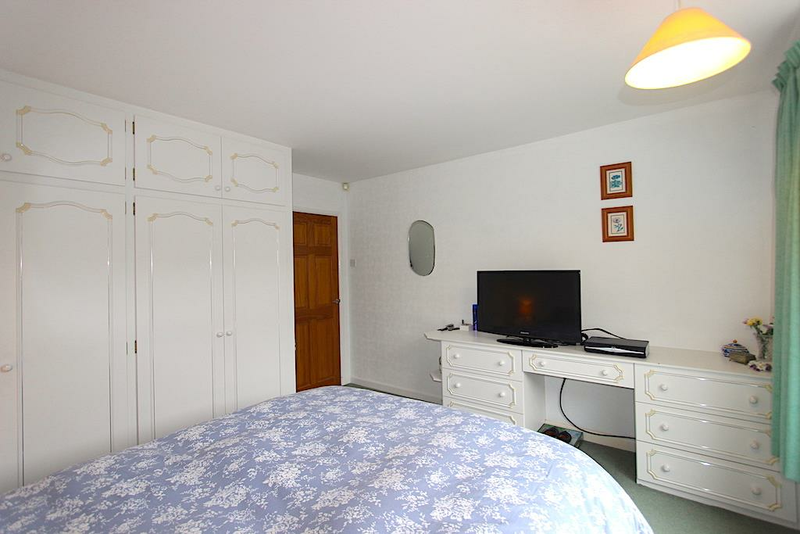 A double room featuring built in wardrobes. 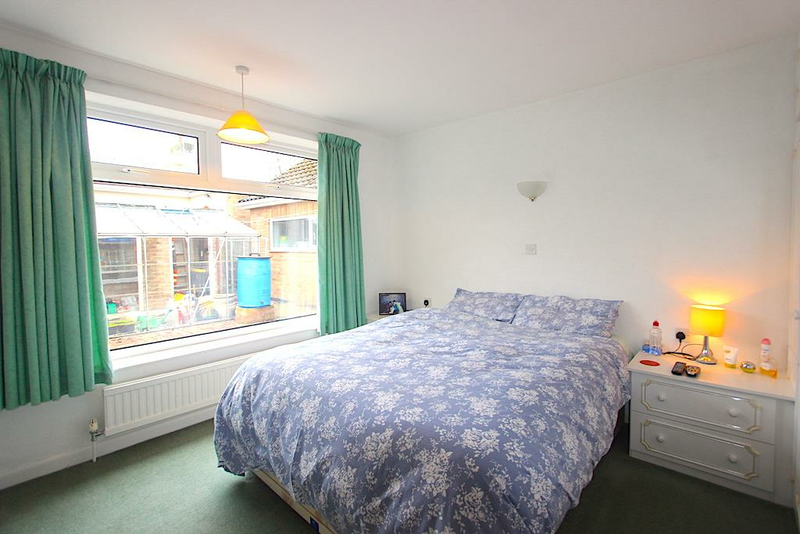 With a window to the side elevation, carpet flooring and central heating radiator. 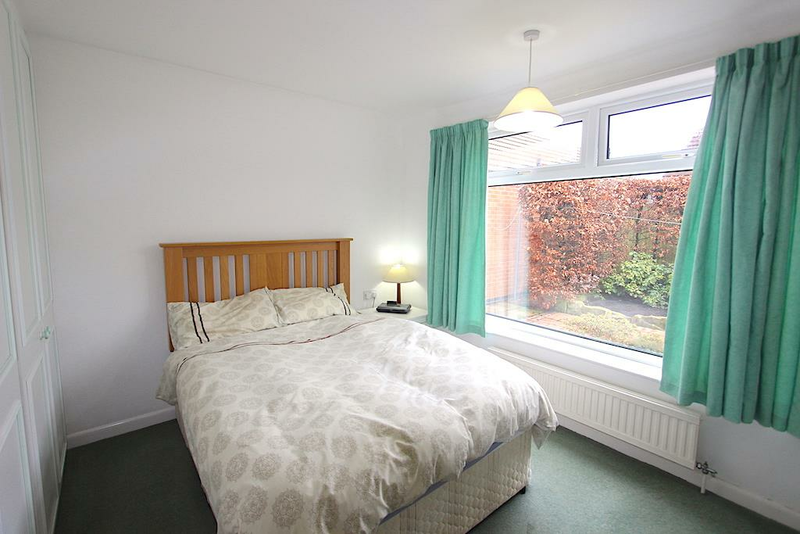 A second double room enjoying the use of built in wardrobes, with a window to the side elevation, carpet flooring and a central heating radiator. 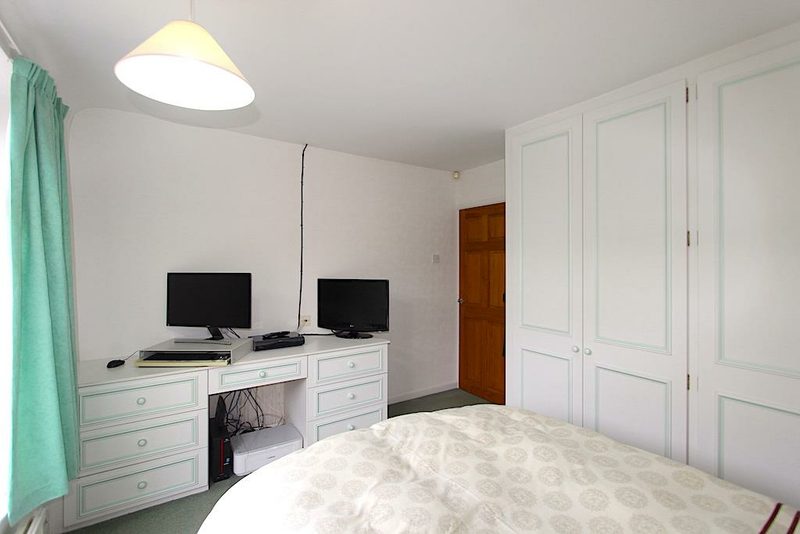 A fantastic addition to the accommodation, the third bedroom offers two windows to the side elevation, with a central heating radiator, coving and carpet flooring. 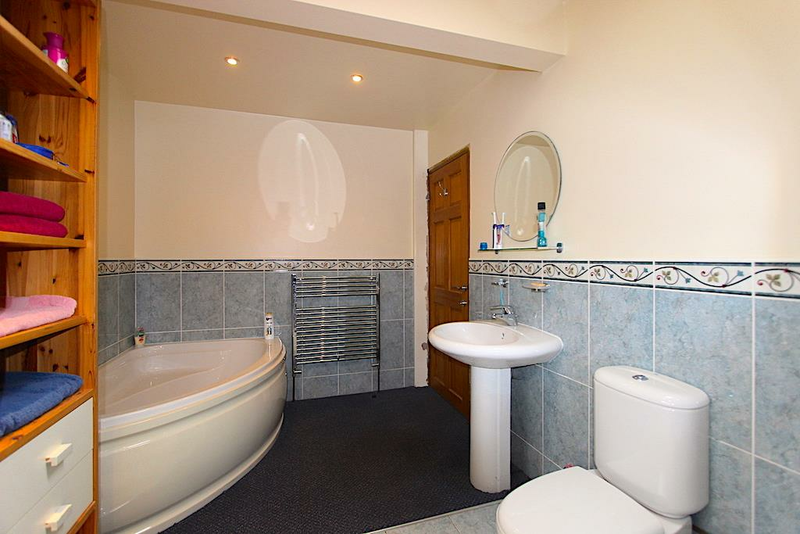 Fitted with a four piece suite comprising a walk in shower enclosure, corner bath, pedestal wash hand basin and low level WC, all complemented with tiled surrounds. 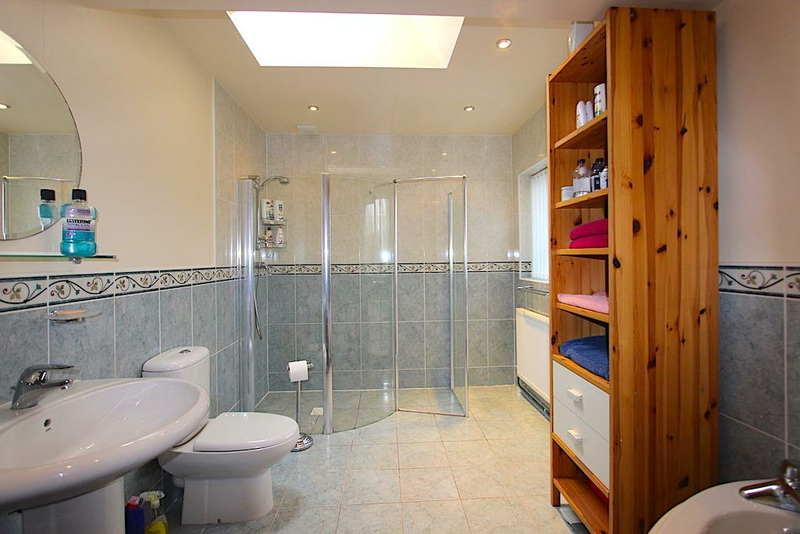 With spotlighting, heated towel rail, skylight and an obscure double glazed window. 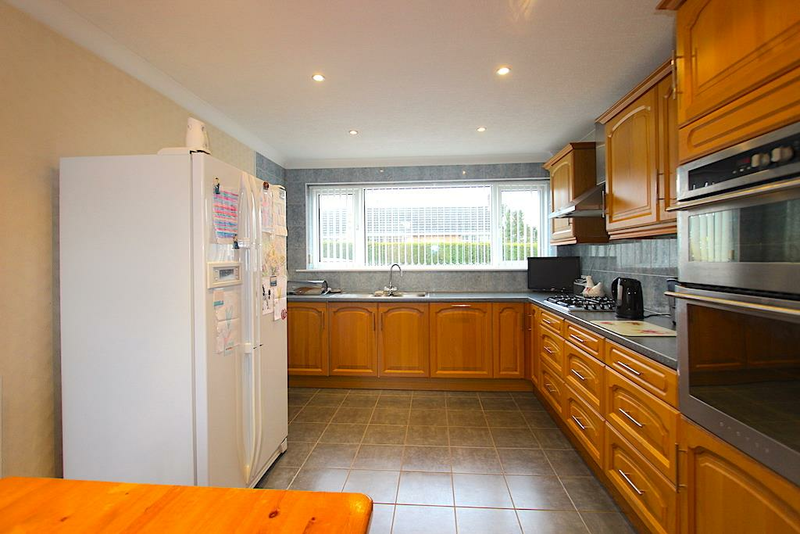 With an electric front door, wall mounted central heating boiler, sink, hatch to the loft space, meters, rear elevation window and door leading to the garden. 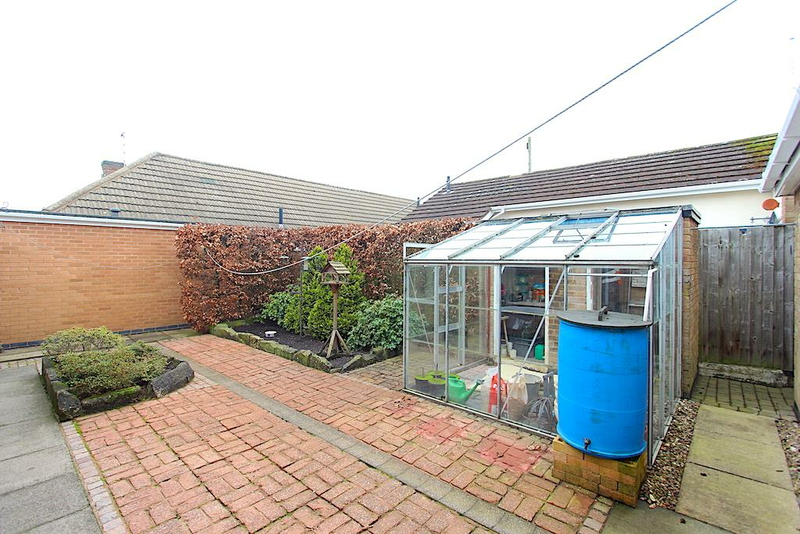 Occupying a corner position, the plot offers a driveway providing off road parking for two cars giving access to the garage. Gated access leads to a private low maintenance garden being mostly paved. 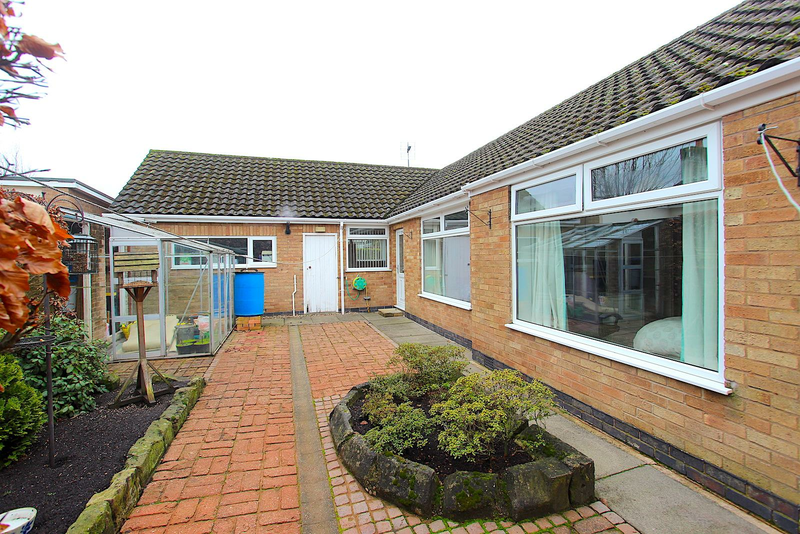 With two useful outbuildings. From our office on Hinckley Road in Leicester Forest East, proceed West along Hinckley Road over the M1 bridge. At the traffic lights (located just after Sainsbury's) continue along Hinckley Road. Continue straight at the traffic lights and take an eventual right hand turning into Maytree Drive. Continue past the shops and at the junction, turn left onto Barry Drive and then right onto Maytree Close where the property can be found. 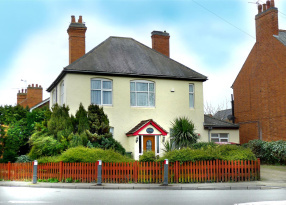 Blaby District Council, Desford Road, Narborough, Leicester (Tel: 0116 2750555) - Tax Band C. Please be advised that when a property is sold, local authorities reserve the right to re-calculate the council tax band. Please note that changes have been made to 1 Maytree Close which could result in the tax band changing should a relevant transaction take place (i.e. 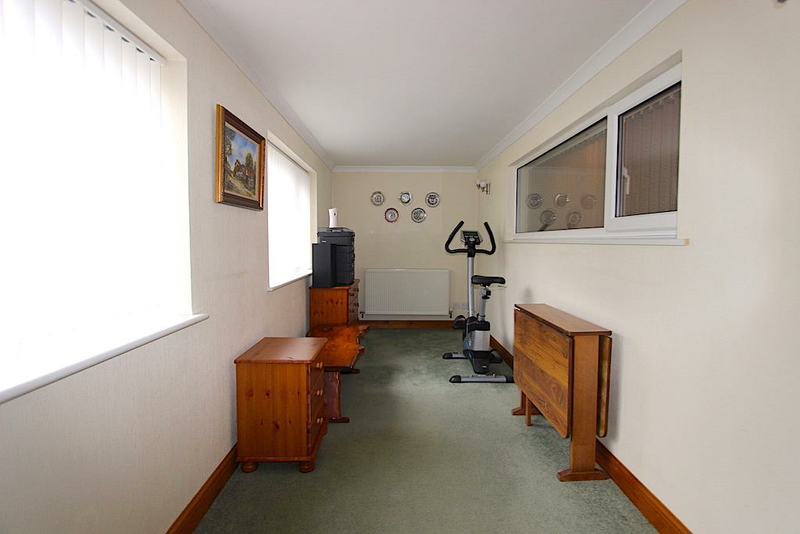 if the property is sold).